The Tuscarawas County RTA was organized on August 15, 1951 with forty-six paid members. Membership has grown to four hundred and eighteen in 2007. Due to the increase in membership, TRTA has maintained an ORTA trustee seat since 1999. Community service has been an on-going part of this organization. TRTA has contributed financially to Kent State Branch Library, Buckeye Career Center, the Ohio Historical Society, and Trumpet in the Land. The most outstanding financial contribution has been the awarding of two scholarships per year to high school graduates who are relatives of chapter members. In addition to financial contributions to organizations and scholarships to students, TRTA members contribute school supplies and canned goods to the needy, tutor in the local schools, and work at food banks. Many other worthy projects are on the TRTA volunteer agenda as the need arises. 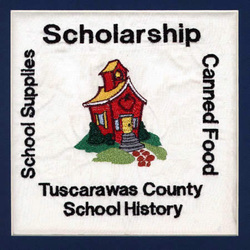 A large project that many members contributed to was the publication of the book, “History of the Schools in Tuscarawas County.” In 1976, five hundred copies of this book were printed and sold. In 1992, a new hard cover version of the book was printed that contained 800 pages. The sale of the book established the TRTA scholarship fund. We welcome all educators, past and present, to join us in making Tuscarawas County a great place to live.